Sometimes those cheap plastic cups just won’t cut it at the dinner table. 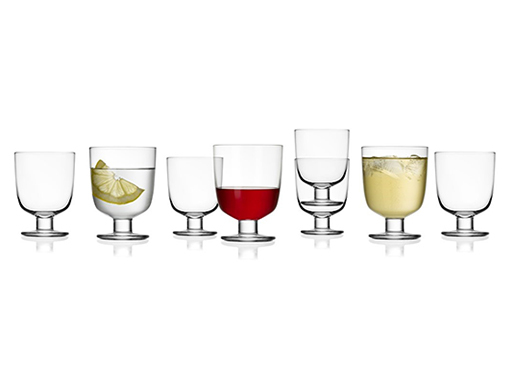 Upgrade to the Lempi (means ‘favourite’ in Finnish) Glassware from Iittala. Use them for everyday water or for that special occasion wine; they’ll fit every occasion. And, as a major bonus, the Lempi is stackable to save space in your kitchen. If you’d rather a bit of color, check out the lilac, light blue, and grey. Updated price and link; originally posted Sep 10, 2012. Available from Finnish Design Shop, $44.35.